Weekends go by too fast. I don't think anyone would disagree with me. No matter how I try to slow it down, it just never works and I find myself at another Monday morning again. Alas, this weekend was the perfect way to refresh and rejuvenate. Husband and I dedicated our entire two days, plus Friday evening, to spending quality time together without chores or interruptions. We had such a lazy Saturday and Sunday and it was incredible. There were naps, lounging, television shows, etc. I'd do it all over again if I could. Our lazy days were also a lot about new recipes and food. We're snackers in the Hill household. And that's what we prepped for. Saturday morning began with some lemon poppy seed pancakes (recipe to come), and lunch consisted of ham & mozzarella pinwheels, ruffled chips and french onion dip (I'm a sucker for french onion dip), and a crazy good fruit salsa with cinnamon sugar dippers. We left healthy at the door on Friday and indulged the entire weekend. Sometimes it's just necessary. No judgment here, just some really happy taste buds. Pulse 1.5 apples, kiwi, and strawberry preserves in a food processor. 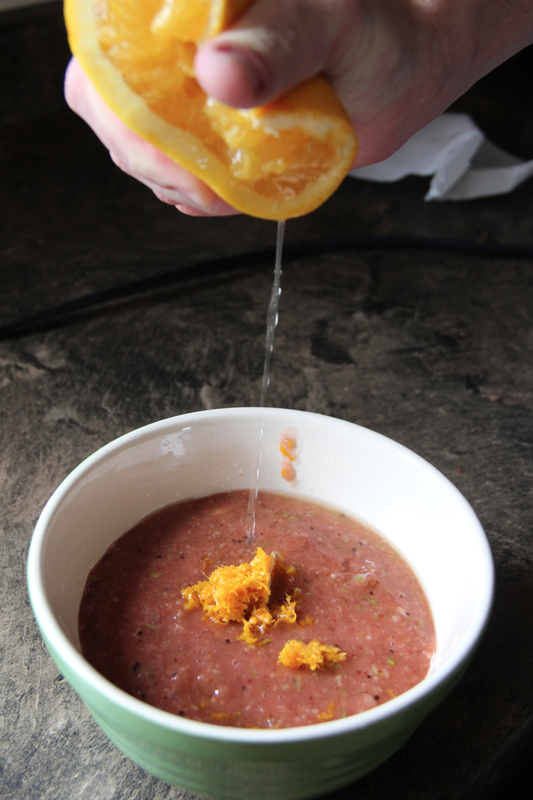 Stir in the orange zest, then cut the orange in half, squeezing each half over the salsa. Add the brown sugar and apple butter, stirring well. Cut the remaining half of the apple into small bits and stir into the fruit salsa. Cover and chill until you're ready to serve. In a plastic bag combine sugar and cinnamon. The ratio is completely up to you based on how much of a cinnamon taste you want. I like to add enough that my cinnamon sugar mixture is a light brown in color. Lay a tortilla on a cutting board. Spray it with the olive oil. Sprinkle the cinnamon sugar on it, coating the tortilla well. Using a pizza cutter, slice the tortilla into triangles. Place them on an aluminum foil lined baking dish. Spray the triangle slices with olive oil once again. Bake at 350 degrees for 6 to 7 minutes. Let them cool, and as they do they will harden into chips without being too crunchy. *p.s. I tried brushing melted butter on the tortillas for the first batch, but the butter is just too overwhelming. Spraying olive oil instead is the key. You can't have sweets without salty and vice versa. 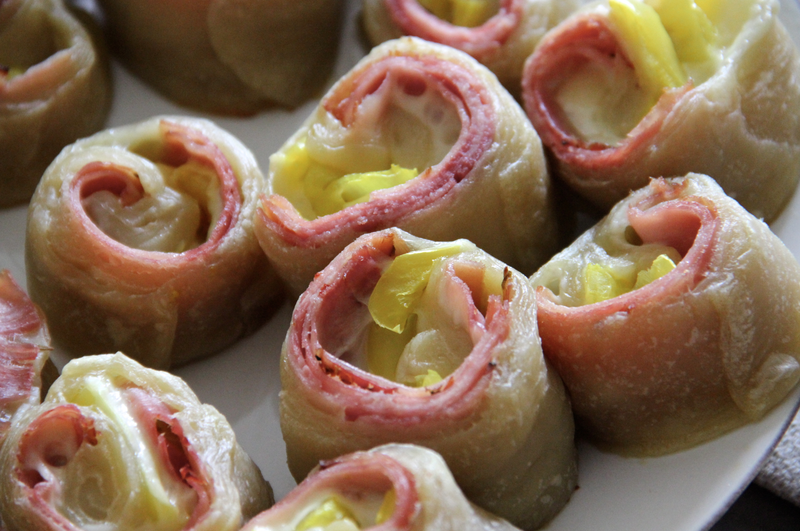 So we opted to make pinwheels from puff pastry dough, with ham, mozzarella, and banana peppers. It really is as simple as it looks. 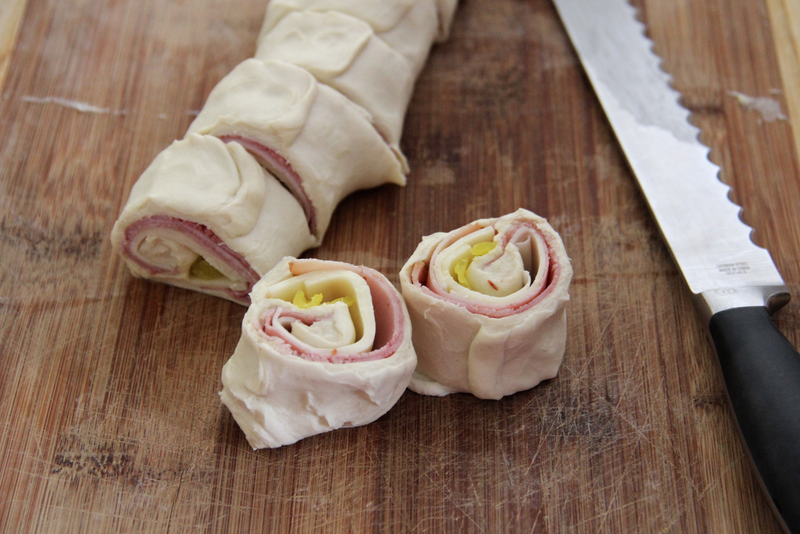 You let the pastry dough thaw, then roll it out, and put whatever kind of meat and cheese combination down the middle. The toppings are limitless. 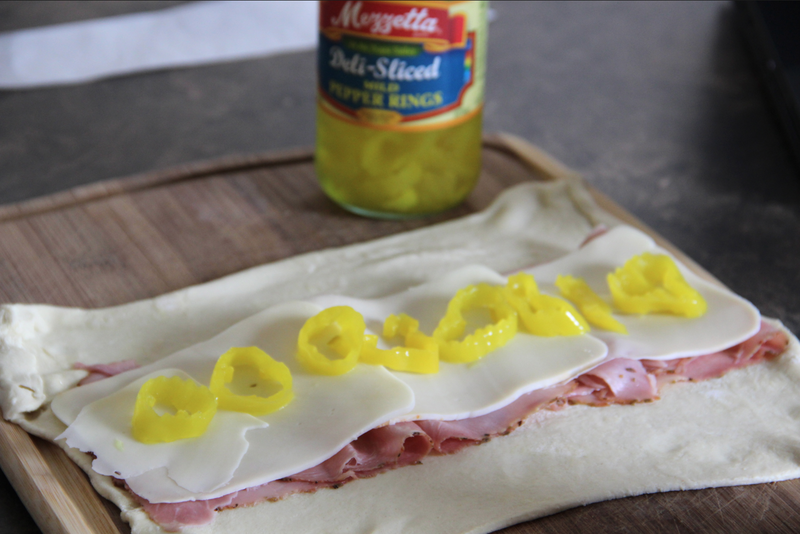 Roll it, cut it into sections, and bake at 400 degrees for 10 - 12 minutes. Ranch for dipping, that's the final touch. I'm telling you, this weekend was great for so many reasons. I had free time with husband, simple food that took no time to make, naps with husband in our new recliner, and a fall like temperatures blowing a sweet breeze through my open windows. Sunday rolled around, church happened with a pretty extraordinary sermon on marriage as it is deemed by the Lord, more napping, baking, and late night cards with our people. Remind me where the rewind button is?? Happy Monday to you! I hope your weekend was spectacular!